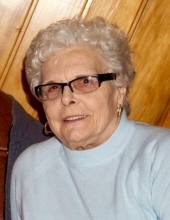 Joanne Frances Densmore, 81, a lifetime resident of Lapeer, died Friday, January 18, 2019. Joanne was born September 11, 1937 in Leonard, Michigan to Clare and Beulah (Ferres) Barrett. She graduated from Lapeer High School, class of 1955 – that same year she was the Michigan Dairy Queen. She married Ray Densmore on October 6, 1956 at the First Baptist Church of Lapeer. Joanne earned her Licensed Practical Nurse degree through St. Joseph’s Hospital in Pontiac. As an LPN Joanne had a very diverse career – she worked in labor & delivery, the emergency room and as Dr Barrow’s nurse at Knollwood Clinic, Lapeer. She was devoted to helping others. She also became the first female pharmaceutical representative for Hoffman La Roche in Michigan. Ray and Joanne were long-term members of the First Presbyterian Church in Lapeer. Through the years Joanne volunteered her time on several local boards including the Lapeer County Health & Human Services Board of Directors as well as the Lapeer County Medical Care Facility (Suncrest) Board. The entire family enjoyed their years travelling throughout the country following their beloved MSU Football team (particularly the four years Mike played for the Spartans !!) … GO GREEN !!! Joanne is survived by her husband of 62 years, Ray Densmore; children: Michael (Amy) of Riverdale, Michigan and Diane (Jeffrey) of Lapeer; four grandchildren: Lauren (Andy), Elizabeth, Aubree (Seth) and Grace, one great grandson Kase; brother, Dr. Kurt (Sharon) Barrett of Battle Creek, dear friend Mary Donnelly of Bay City. Joanne is also survived by many nieces and nephews including two very special nieces, Stephanie and Amy. She was preceded in death by her brother, Norman Barrett and her parents. Visitation will be from 4-8PM Monday, January 21, 2019 at Muir Brothers Funeral Home, Lapeer. Funeral services will be held at 11:00 AM Tuesday, January 22, 2019 at the First Presbyterian Church of Lapeer, 433 North Calhoun Street, Lapeer, Michigan 48446. Pastor Alex Peterson will officiate. Burial will immediately follow in Lum Cemetery (Arcadia Township Cemetery). Memorial contributions may be made to McLaren Hospice, 1515 Cal Drive, Davison, Michigan 49423 or the First Presbyterian Church of Lapeer, 433 North Calhoun Street, Lapeer, Michigan 48446. "Email Address" would like to share the life celebration of Joanne Frances Densmore. Click on the "link" to go to share a favorite memory or leave a condolence message for the family.